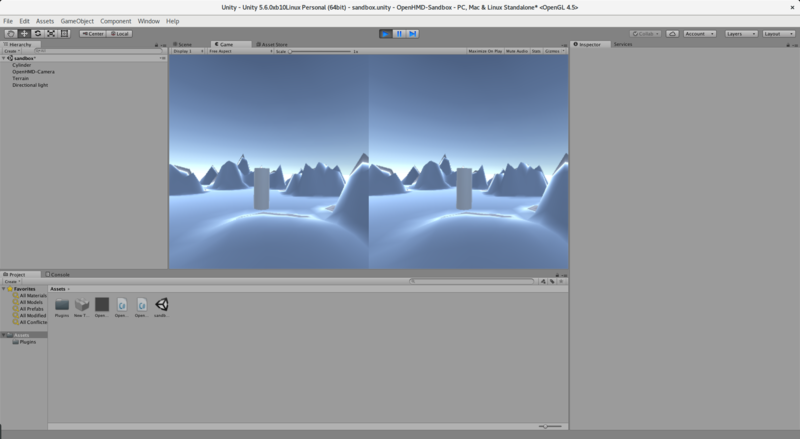 We currently provide a experimental multi platform Unity plugin. It is tested on Unity 5.6 and works only on Windows 64bit and Linux 64bit. It could work on older versions of Unity, but this has not been tested. Launch on Unity asset store? Make sure the player settings for the project are setup accordingly, otherwise the Plugin does not work. This information can be found under: Edit->Project Settings->Player under Other Settings. We are currently using the Split Stereo Display setup, which automatically splits the Camera in 2 viewports and provides a basic Camera HMD setup. 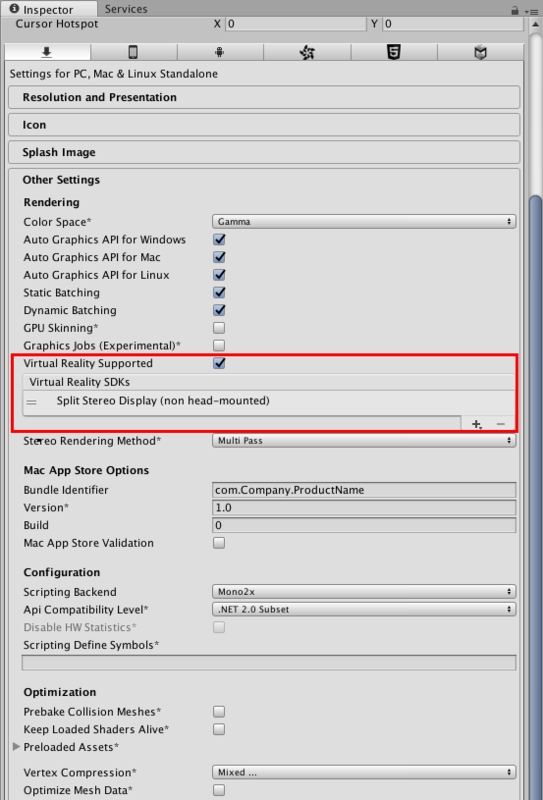 Import the complete Unity package to your project and drag the OpenHMD Camera prefab to your scene. The OpenHMD-Camera prefab should be used as primary camera when using VR Mode, this can be used alone or parented to another object/node. First version of the OpenHMD Unity plugin. Alpha 1.1a: Updated Linux binaries.